The Arderial cards in Elder's Legacy is mostly to support Relaura, and since there has previously only been one Solar card, two more were created for her. 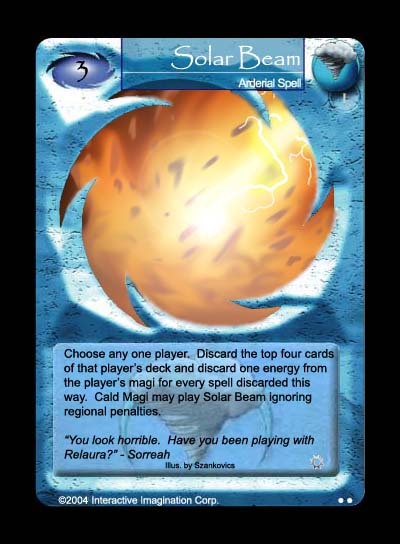 Solar Beam is a weak burn spell, but it allows Arderial magi to target the opposing magi directly. The art is by Nick Szankovics.